This is the python variables in modules tutorial. And as we have mentioned before in this tutorial, that a module can basically be defined as a type of file that contains a different set of functions that you can include in your overall application. To understand it in a better way you can consider any particular module to be similar to a type of code library. It is also important for you to remember that whenever you use any particular function in a python module list then you should use make it a point to always use the syntax of module_name.function_name. If you further wish to import the module that we created above and then access the person1 dictionary then you can do that too by following the below-mentioned method. 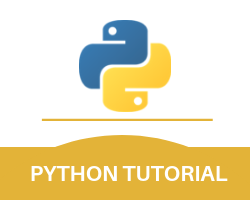 It is important for you to know that you can name the python module structure that you create anything that you like but you must always remember to use a particular kind of .py file extension whenever you save a module. It is also important for you to know that you can use this particular function on any kind of module that you create. If you further only wish to import the person1 dictionary from the module that we created then you can do that too by following the below-mentioned method. It is also important for you to remember that when you are using the from keyword to import anything then you should refer to the various elements of the module instead of using the module name. For example, it should be person1 [“age”] and it should not be mymodule.person1 [“age”]. With this, we finish the Python variable in modules part of our tutorial.